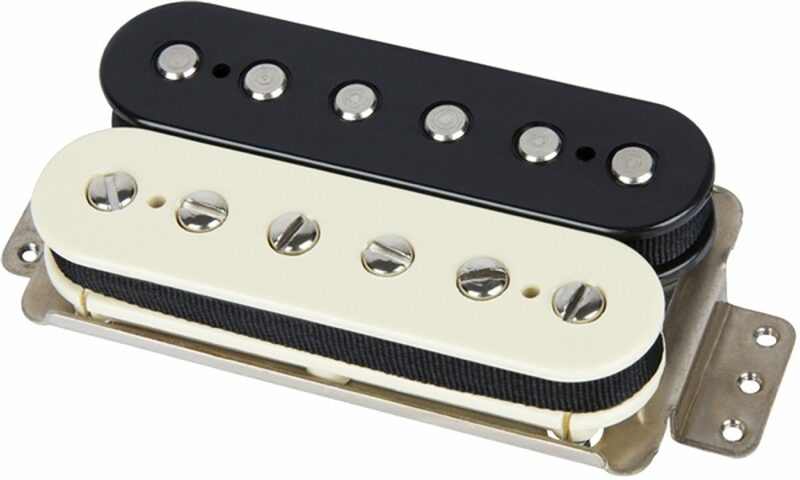 Designed by acclaimed humbucking pickup guru Tim Shaw, the ShawBucker pickup is, in his words, "a new take on an old perception." The ShawBucker retains clarity and impressive note definition while remaining resistant to 60-cycle hum and other extraneous noise. Full of multi-dimensional tone with well-defined overtones, this open-coil pickup complements and balances your guitar's natural voice while playing well with other pickup designs. Tim Shaw's pickups are founded in his work with the creators of humbucking pickups. The result of literally decades of R&D, ShawBucker pickups are carefully voiced for full, robust tone while remaining true to original humbucking pickup character. These feedback-resistant pickups are highly dynamic, but not microphonic, thanks to their tight winding and careful construction--no "potting" required here. Beautifully musical, the ShawBucker pickup marks a new milestone in Fender's long history of sonic innovation. 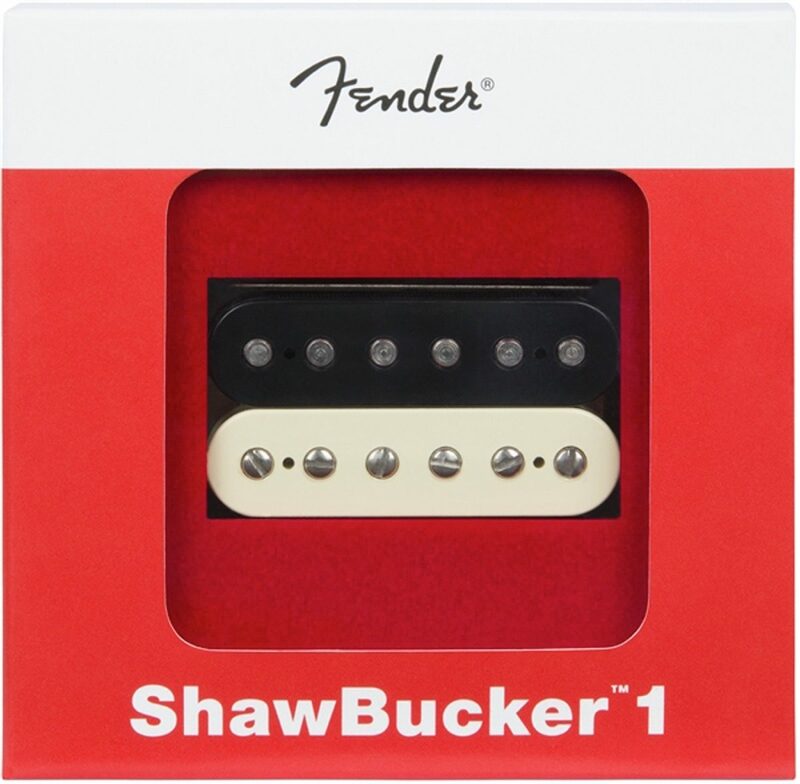 Articulate and pristine with plenty of definition, the ShawBucker 1 pickup will enhance, not overshadow or obscure, the fundamental tone of any guitar they're installed on. 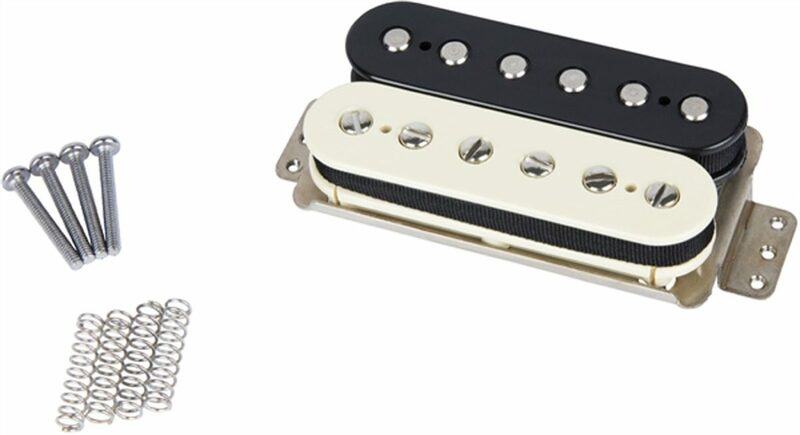 We recommend using the ShawBucker 1 in either position in a HH configuration or as the bridge pickup in a HSS configuration since it blends well with single-coil pickups. 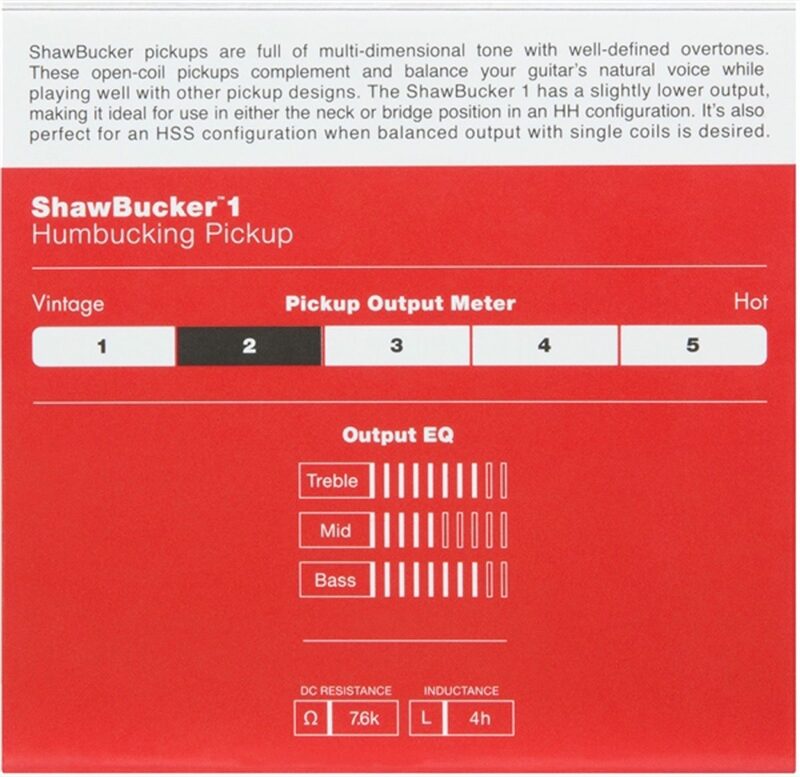 The ShawBucker 2 has a slightly hotter output than the Shawbucker 1 and is recommended for use in the bridge position in an HH configuration.